Driving scares me. No, terrifies. Like on a scale of 1 to Amy Winehouse’s teeth, me operating a car ranks pretty high up there. That poor woman was such a mess. An off-duty cop named Glen has been giving me driving lessons. I feel much more comfortable driving with him, and every time I look at the huge scar on his arm from when he was knifed when arresting someone I silently thank my mom for not letting me be a cop. But then I get sad again because I’ve always wanted to go on a high speed chase and taze someone. Okay so maybe those aren’t the best reasons for wanting to be a cop. I’ve done about 10 hours of driving with Glen and not only have we become best friends when he’s not yelling brake brake brake SLAM ON THE BRAKES, but I’ve gotten to the point where I felt ready to take the test. The other day we were driving and without telling me, he lead me to the DMV. Yeah, thanks Glen. I practiced parallel parking a few times (aced it every time), and then walked into one of the most depressing places on the planet. Are all DMV’s required to have off-white walls and floors and smell like sadness? I got assigned the grumpiest lady I’d encountered in a while and she told me to show her to my car. I gave Glen a quick thumbs up and got ready to get my license. We got in the car and I successfully operated my hazards and windshield wipers. Check. We were merrily rolling along and I pulled over to the right side of the road and backed up too without a hitch. And then I met my now arch-nemesis Evil Dr. T-Intersection. I came to the stop sign and sadly didn’t read the sign beneath it that said “cross traffic doesn’t stop.” There were train tracks that crossed the intersecting road and there was a car driving up to the tracks, so I just decided to go ahead since they still had to cross the tracks. Apparently that wasn’t a good idea. Commence freak out from the angry government worker. She flipped out at me and yelled for me to stop the car… in the middle of the intersection. I didn’t and just kept driving since the car was now crossing the tracks and would have hit me. I knew right then I failed because I could feel her burning a hole in my soul and I wasn’t even looking at her. We drove back to the DMV and she hardly waited for me to stop the car before getting out. I walked into the DMV behind her and not only did she not hold the door for me, but she actually pulled it closed. But I vowed I would not eat, I would not rest for a moment until I passed my test. And then I ate and rested a lot and tried taking the test again a few days later. The good news is that I put on my lucky shirt yesterday and passed with an 83. The bad news is that my lucky shirt is a Jonas Brothers shirt. I’m pretty sure I’m the only 17 year old who still wears one of those. Not only did I pass my driving test yesterday, but I also shadowed a nurse at a pediatric hospital. Was it awesome? Yes. Was it what I was expecting? No. The actual nursing part of it (putting medicine in IVs, taking blood pressure, checking incisions) was so cool, but I don’t always look my age and everyone asked me what high school I was going to and then was shocked that I was going to college. I was babied by the nurses which was aggravating, but I enjoyed the day for the most part. It’s not something I’ll do again, but I’m excited for nursing school. Thank goodness I still want to go because one of the nurses told me how much she hated it and how horrible it was. Um, what? Aren’t you supposed to be fostering my love of nursing here? Guess not. Thank goodness you didn’t annoy me too much or else I’d have to resort to RUNNING YOU OVER WITH MY CAR. Except I don’t actually have a car yet. And I don’t have my license yet either… but I passed the test, so that’s all that matters. Oh, and the disembodied hand up there belongs to Future Chef. He made almost all of this by himself, which I think is pretty impressive for a 5th grader. 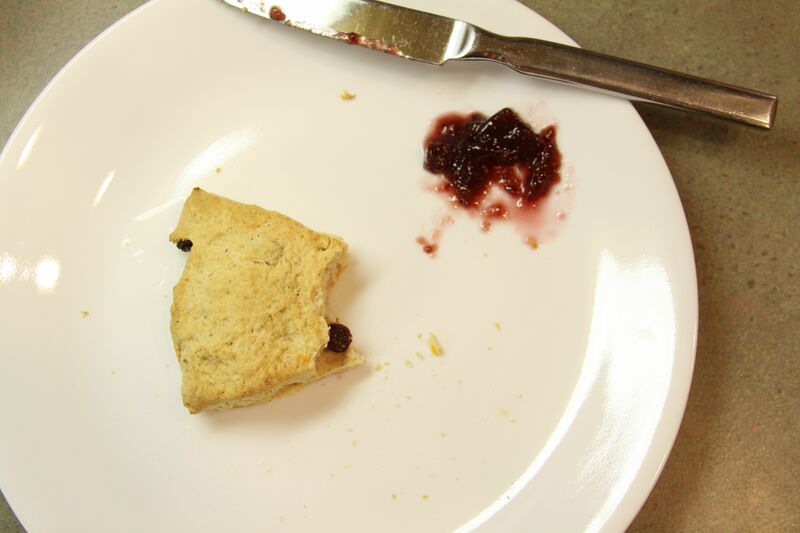 He made the scones, I took the pictures, and I also ate 3 scones. He and I make a great team. 1 Preheat the oven to 425 F.
2. In a medium size mixing bowl, measure 1 3/4 cups of flour, 3 tablespoons of sugar, baking powder, cinnamon, and salt and mix until combined. Set aside. 3. Melt the butter and place in a medium bowl. 4. Wash the orange to get off all of the pesticides so you don’t die. 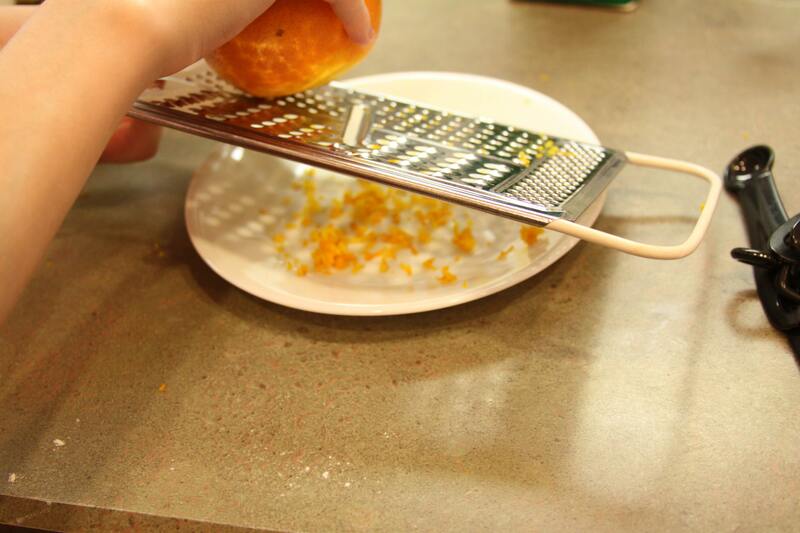 Using a grater, grate about 1/2 teaspoon of zest off the orange and place into the bowl with the butter. Add the buttermilk, egg, vanilla, and raisins. Stir until combined. 5. Slowly add the flour mixture to the buttermilk mixture, stirring constantly until mixture gathers into a bowl (about 30 seconds). 6. Sprinkle about 3 tablespoons of flour on a cutting board. Knead the dough on the cutting board about 8 times. For some reason whenever I knead dough I think of that scene in Cinderella when she’s scrubbing the floor. True story. 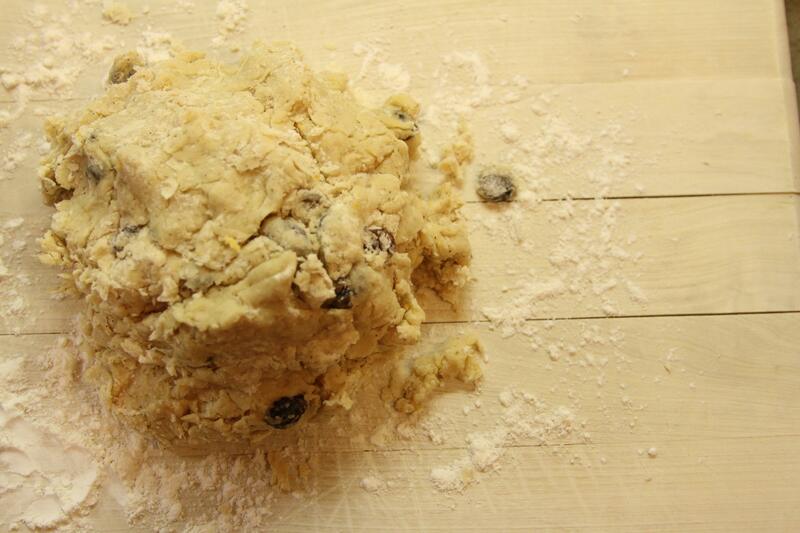 Shape the dough into a ball and roll out into an 8-9″ circle. 7. 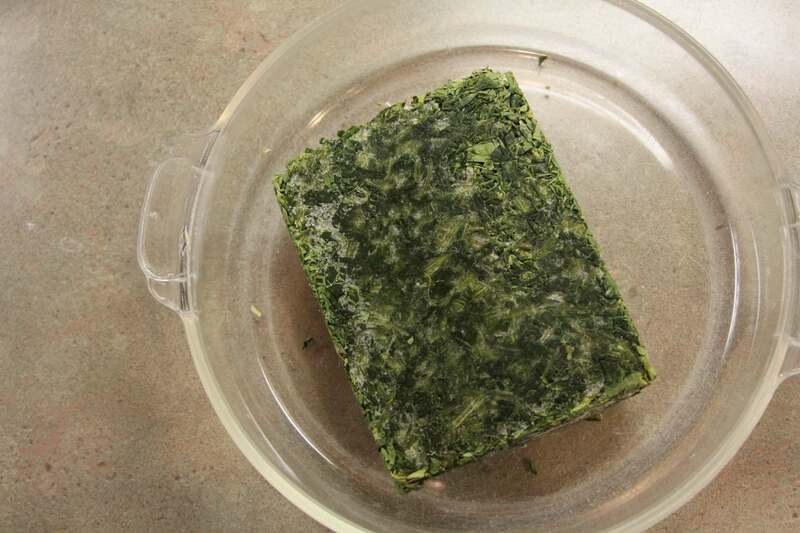 Place the kneaded dough on an ungreased baking sheet. Sprinkle 1 teaspoon of sugar on top of the dough. 8. With a pizza cutter, cut the dough into 8 wedges. 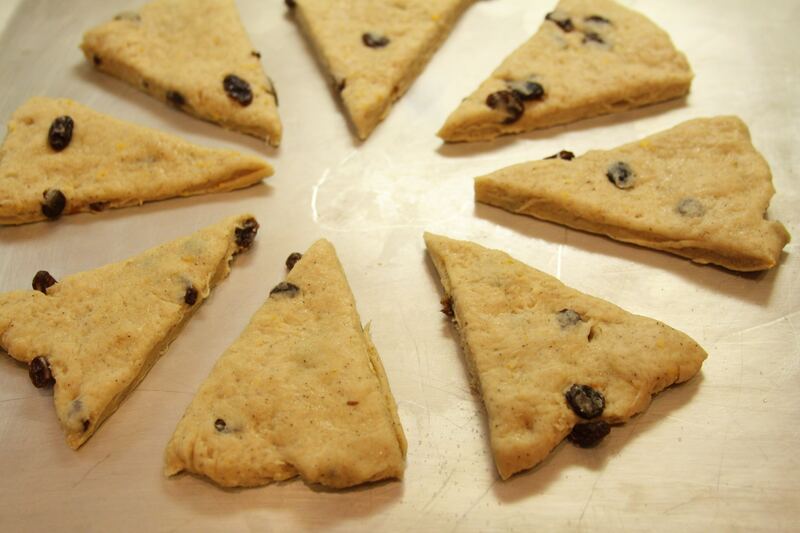 Slightly separate the dough wedges so they don’t spread out during cooking and form one delicious blob of scone. If that happens, lick it after it’s cooked and call dibs. That’s what you have to do around here since there are 7 of us kids. We take our food very seriously. 9. 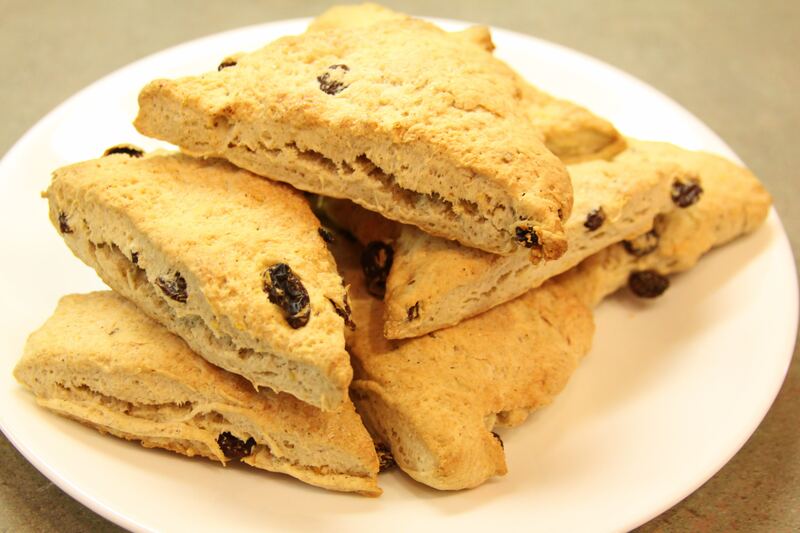 Bake scones for about 15 minutes and cool on wire rack. 10. Enjoy with your afternoon tea. Why don’t Americans have tea time? That’s messed up. Spoonlighting: verb. The act of starting a blog in which you would cook your way through The Silver Spoon before the end of high school… and then not actually doing it. I am finally done with high school, and you know what that means. Not only am I off to college, but I miserably failed the whole “finish The Silver Spoon cookbook before I graduate” thing. But I feel like none of us should really be surprised since I haven’t made anything from it since like forever ago. When I tell my future employers that I’m goal-oriented, should I cross my fingers behind my back? I leave for college in two months. Isn’t that insane? Remember the 15 year old blogger who had absolutely no idea what she was doing and used too many smiley faces and zero exclamation points? I’ve eased off the smiley faces, but I still detest exclamation points with a passion. When I read things with exclamation points, it’s like I’m about to audition for a Disney Channel show and I’m reading over the script one last time before I throw my life and sanity away. Since I’m off to college, of course I had to register for classes. HAHAHAHAHA it was horrid. Before I tell you all about my adventures in Class Registration Land, let me first toot my own horn and let you know I was a finalist for a scholarship. I applied for this scholarship months ago and don’t even remember what the prompt was, but I do remember I wrote about my blog. I got a letter from them a few days ago saying that they had too many applicants, but I was still a finalist and I got… a $10 Amazon gift card! An exclamation point was acceptable there because it was fake enthusiasm. Oh well, I’ll take what I can get. If anyone knows about any scholarships for white, middle class girls who aren’t disabled or veterans, whose parents are still together, and who have a hard time writing convincing essays on how much they care about green energy, please forward them to me. I went to the college last week for orientation to register for classes and other fun stuff. I got up at 4am because my college is about 4 hours away and the day dragged on forever. Of course, I got to register for classes at 3pm that afternoon. So picture me: I’d already been awake for almost 12 hours, I was grumpy, and all I wanted to do was go home and watch some movie with Joseph Gordon-Levitt in it. And my college was expecting that model homo sapien to sign up for classes for the first 4 months of her college experience. That plan is almost as good as the time when I had a grass eating competition with my friend. He didn’t end up eating any grass while I went all plague of locust on it. I tell that story all time, so pardon me if you’ve heard it before. I’m just so proud of the fact that I ate disgusting grass. I’m going to be a nurse, and all of the nursing majors were registering for classes at the same time as the biology majors. Aside from an intro to nursing course, guess what the ONE required class for first semester is? No, it’s not Women in Buddhism, although that is one of the classes they offer (Um, what?). It’s biology. AND THE STUPID BIO MAJORS TOOK ALL THE CLASSES. They were opening up the biology classes one seat at a time and basically whoever clicked on the one opening first got the class. It was the most intense clicking I’d ever done. It took me almost an hour just to get a seat, and luckily I ended up with an afternoon class. My psychology class on the other hand is Monday, Wednesday, Friday at 8:30am so far from my dorm that it’s basically in another time zone. I actually might walk into the past on my way to get to it. Even though it was an incredibly stressful, long day, I’m glad that I have my classes set for the first semester. I’m really happy with how everything’s turning out for me college-wise. I absolutely love my roommate, I’m in the best dorm on campus, and my suitemate is the RA and seems really nice. Aside from the psychology class on another continent, I think my first semester will go well. So now that it’s summer, I’ve decided to start a bucketlist. So far the only things on it are blog 1-2 times a week, finish at least five books, and watch all 6 seasons of Third Rock From the Sun. What can I say, I love Joseph Gordon-Levitt. 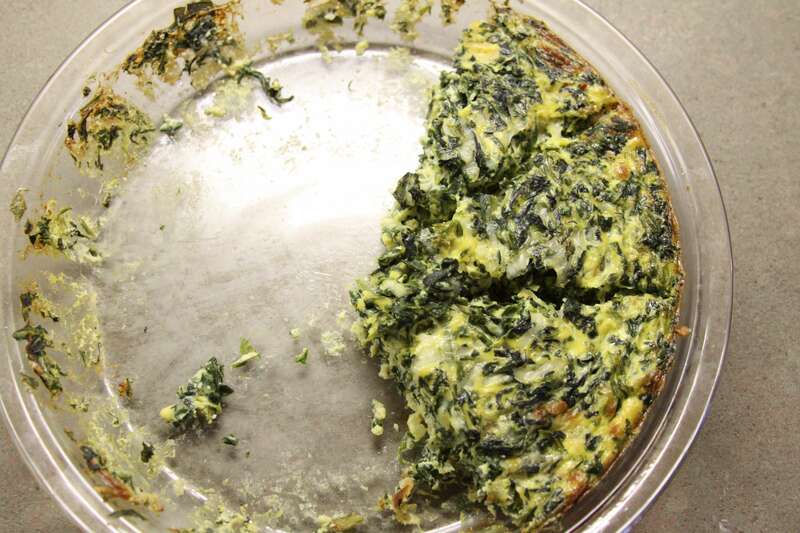 Corrupted Brother – who is 4 years old – ate almost all of this quiche. 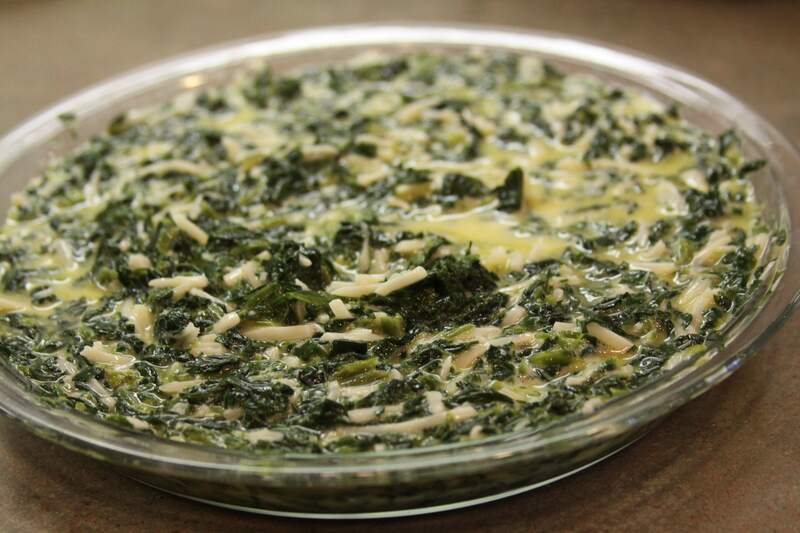 And I have no idea how I made it because I just sort of threw spinach, eggs, milk, and cheese together. 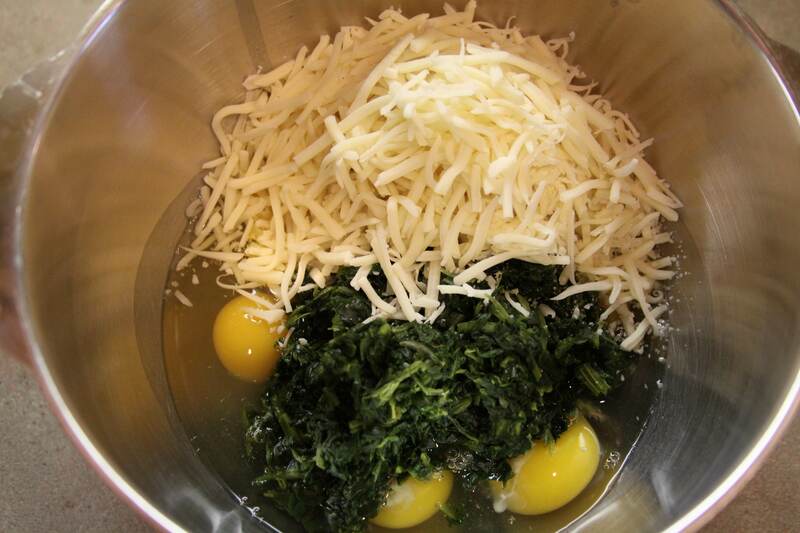 Sorry there’s no recipe… just go look at the pictures again. Or watch Angels in the Outfield. Hey, it could happen.